Cute Jewellery by Chelsea Doll: Cool Britannia! We've just received the most wonderful drop from new designer, Mary Mia. We always get excited in anticipation of new designs and the prospect of creating new trends but this latest range has got us going wild! 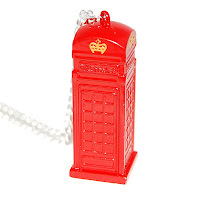 The Cool Britannia collection includes deliciously kitsch pieces in the form of British icons. Tokens of British culture are celebrated and made into necklaces. 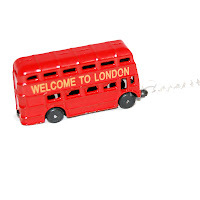 Think retro red Telephone Box Necklaces, big red London Bus Necklaces and Black Cab Necklaces. Each piece in the range is guaranteed to get you noticed and, in true Chelsea Doll style, takes fashion jewellery onto a much quirkier path. Release your nostalgic side and be envied!